We learn this from Michael Wolff's book, Fire and Fury. Steve Bannon wants Palestine to be handed over to Jordan and Egypt. Bannon wants Jordan to take over Judea and Samaria, with Egypt taking over the Gaza Strip. Netanyahu wants all the Palestinian land. "Bannon is out, and whatever else he stood for, Bannon represented ... nationalist (Nazi) thinking." 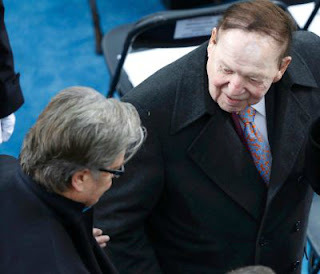 "This is all about money laundering. "Mueller chose (senior prosecutor Andrew) Weissmann first and he is a money-laundering guy. "Their path to f***ing Trump goes right through Paul Manafort, Donald trump Jr and Jared Kushner." 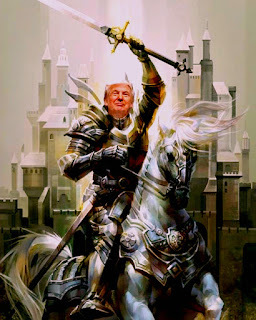 "WHEN SAUDI ARABIA'S Mohammad bin Salman effectively launched a coup and unseated his political rival in June, President Donald Trump took private credit. "'We’ve put our man on top!' Trump told his friends, writes Michael Wolff in his book, 'Fire and Fury: Inside the Trump White House.'" Trump on Saudi Leadership Shake-up: “We've Put Our Man on Top!” . Steve Bannon's mother's name Herr is both German and Ashkenazy Jewish. Steve Bannon is a Crypto-Jew. 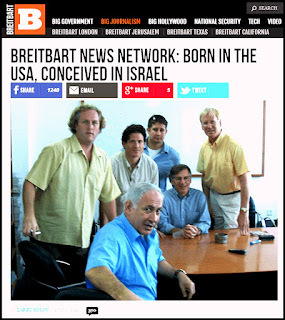 Bannon was/is the boss of Breitbart News, which is said to be a front for Mossad. Donald Trump appointed spooky Steve Bannon to run his campaign for the presidency. 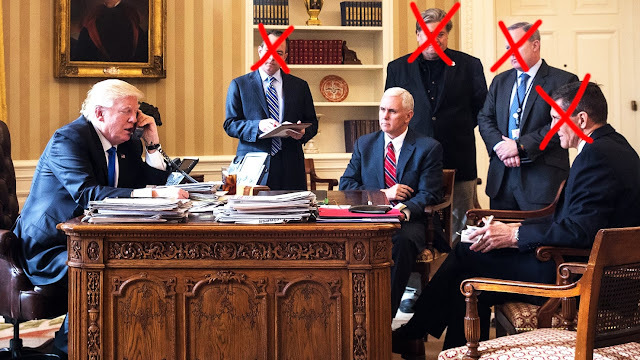 Spooky Bannon's job was to tell Trump what to say. 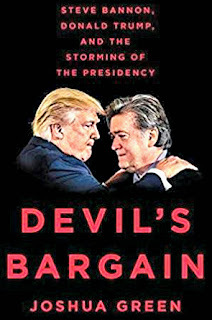 The Devil’s Bargain, by Joshua Green, of Bloomberg Businessweek, tells us about Bannon's part in the election. Bannon's job was to get Trump to press the buttons marked 'clash of civilisations, race, and Islam', the buttons being promoted by Zionists and Nazis in the Deep State. Bannon wants to promote 'Judeo-Christian' ideas. Bannon holds a master's degree in National Security Studies from Georgetown University, which has been linked to the CIA. 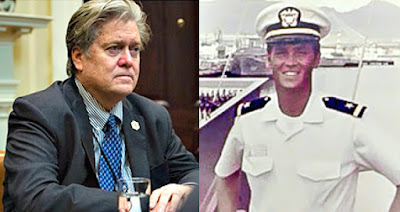 Bannon is a former a Special Assistant to the Chief of Naval Operations. 1. The Knights Templar, who allegedly were 'Satanic', and who were 'destroyed' in 1312. 2. Julius Evola, an Italian writer, who supported Nazi ideas. Evola supported the idea of a pre-Christian religion and a pure White race. 3. The idea of the Clash of Civilisations. ft.com / Steve Bannon Fascists . Jews fighting each other and acting as white ppl and/or simply making white ppl to pay for the mistakes Jews did. The same script for eons. Brilliant analysis but the ' white' people won't buy it as they need a savior even if they are crypto-jews like Drumpf, Bannon etc. The ' white' can easily fooled by ashkenazi jews like Drumpf and Bannon because they are blonde-ashkenazi and so must be 'white' according the 'logic' of the stupid Goyim.. There are so many blonde jews the jews don't want you to know that! "Steve Bannon is a Crypto-Jew." No, we dont know yet, no real proof. Arguably Cambridge Analytica made Brexit happen and, together with WikiLeaks, got President Trump crowned. Julian Assange effectively headquarters WikiLeaks from the Ecuadorian embassy, just a few miles away from Cambridge Analytica’s head office. Just before the US election in November 2016, Alexander Nix (CEO of Cambridge Analytica) contacted Julian Assange to ask him if he wanted some “help” with WikiLeaks’s stolen emails. Nigel Farage, who led the Brexit campaign, is friends with Steve Bannon and Robert Mercer (Mercer is the financier of Cambridge Analytica). Steve Bannon was part of Donald Trump’s team, is leading propaganda network Breitbart and was working with Cambridge Analytica. Farage subsequently visited Donald Trump, Assange, and then Dana Rohrabacher. Rohrabacher is described in the US press as “Putin’s favourite congressman”. Roger Stone, a long-time unofficial adviser to Donald Trump, was briefed in advance about the leaked Democratic emails by an American libertarian who was in contact with WikiLeaks founder Julian Assange. Stone told the Daily Caller: "I’ve admitted I’ve been in communication with Assange through an intermediary. They don’t tell me what they’re going to release." In August 2016, Stone told a Florida audience: "I actually have communicated with Assange. I believe the next tranche of his documents pertain to the Clinton Foundation but there’s no telling what the October surprise may be." The centre of Jewish Power is the City of London. Or/and -- The City of London... is the tribes HQ. Inc. most pervasive Zionism. With reckon-run families behind. Religious anti-Christ lot, led by unseen forces with personality. Knowing defeated, yet enabled, so long we concede. Here/now and a raging battle we don't physically perceive. The outworking but not the immense action behind. While if only, 'my people, who are called by my name, will...' But yeah, City of London, the target and front-line in the war. Auernheimer was in a US prison on hacking charges, but there was some kind of a legal 'fix' and along with his 'legal victory', Auernheimer has become the IT tech guru of the clever and successful Stormer ... was this a 'deal' with the security services, who told him, 'You get out of prison, and you'll be the Jewish webmaster of the biggest Nazi site in the world'? The era of Mussolini - Hitler - Franco - Horthy - Pilsudski etc ... Are the oligarchs now perhaps looking back fondly at those times of co-ordinating local fascists? ... Do the oligarchs perhaps wish, that, instead of WW2, a broad alliance of fascists had been maintained - with Mosley in Britain perhaps added - as a much better arrangement? The US Central Intelligence Agency has, according to multiple investigative reports from both mainstream media outlets and human rights organizations, operated numerous “black sites” across the world. These locations, according to the reports, are secret prisons used to house “ghost prisoners.” Those sent to these places are held captive without being charged with any crime and are not allowed any form of legal defense. Ghost prisoners are subject to what the CIA calls “enhanced interrogation tactics”; most others call it torture. The CIA and their operatives’ methods allegedly include waterboarding, sleep deprivation, humiliation, physical beatings, electric shocks, and worse. These secret prisons, dotted all over the world, might just be the most terrifying places on Earth. The alleged neo Nazi who was arrested by Zionist FBI for trying to take over an Amtrak train in U.S. looks so much like an Ashkenazi Jew that I began to search but could find nothing.However I did find this about a Daily Stormer editor. The mother of a neo-Nazi who co-runs the white supremacist website Daily Stormer and said Jewish children “deserve to die” has Jewish relatives on both sides of his family. would like to protect the interests of the goyim and to discredit the whites. Alt right etc is all run by persons with jewish background or jewish names. Anglin is living like a king living of donations and of course paid by the jews. Where/ why was Anglin not at Charlottesville? Did he have foreknowledge? He claims to be in nigeria hiding for the jews. Does he really wants us to believe that the mossad doesn't know where he lives? What a joke this jewish dwarf. More likely, the American state and their Israelis backers have something compromising on Bannon and they ordered him to write this book of lies in return for immunity from prosecution. This kind of trash only makes Trump look better, as the people making these claims are obvious scum who are clearly 'protesting too much'. What you writes suggests that Drumpf is not part of the jewish tribe. This suggestion is only in the benefit of the jews, making drumpf ' white'. It's all kosher nostra with different factions fighting against each other to illude the ' white'. Wolff is this season's Kitty Kelley, who wrote a salacious, gossipy book on the Bush family in '04. Wolff has zero credibility and this is clearly an undermining hit book with an agenda of making Trump look like a bumbling fool. Be sure Wolff is telling a lot of truth too. Trumpenstein doesnt need to be discredited, he does it himself successfully.